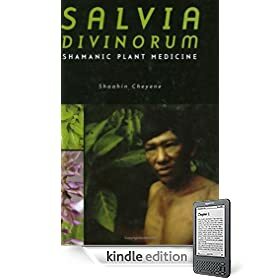 I just want my readers to know all of this information is coming from my personal experiences with growing this lovely lady Sally aka Salvia Divinorum. I will list the most important information first. Sally is not really a picky plant. It will adapt to its environment to an extent. It will not tolerate low temperatures for extended periods of time. It might recover if its down to 38-45F, however if it is left in that temperature range the top stems will turn black and the leaves will fall off. If this ever happens cut the plant back and take the potted Sally inside to a warm room. If the roots do not get damaged they will set shoots up the soil that look like baby Salvia’s, But its the same plant just recovering for dying back. Some believe that these are New strains, they will see them pot up out of the soil in there gardens and think its a new breed. I am sorry to inform the people that think this but its the same clone from the same roots. Sally loves lots of Sun, But for the most part you want partial shade. Depending on where you live in the world the Suns light rays might be to intense for Sally. Her leaves will burn and the edges will start to brown if this is so. I suggest to plant Sally into A garden with other plants that will help shade her from direct sun light. You will be able to trim the other plants/trees back when Sally gets big enough to shade herself somewhat. But I am not saying she can take Full Sun Light, Again this depends on where you live. If you go outside without a shirt or with any exposed skin and get A bad sun burn in only 15 minutes, then Sally will most likely not like full sun in your area. Sally loves moist types of soil. Soil with a lot of Vermiculite, and Perlite make for a good moist soil that will not dry out as quick. You want to make sure the soil is moist yes but you don’t want to let it get water logged. Salvia can tolerate a lot of water but not water that is still. In other words if you plant Sally at the edge of a small steam with running water, She will grow great. But you do not want to plant her in a pond or anything with still water. Running water is the key, Helps to provider more oxygen to Sally as well as fresh nutrients that flow down the stream out of other soils. I would suggest the oh so popular miracle grow because its always available and its cheap. This will be able to feed your Sally very well. She really like to have her miracle grow about once a week. If its later in the year or winter do not give her miracle grow but once a month if that. Although miracle grow is not really needed but once or twice in the winter because Salvia will be in a dormant stage, meaning she has stopped growing or shes growing very slowly. But while summer is still here, feed her once a week. loves to be watered as much as her can, however as long as the soil drains well. You can have a small Sally in a small pot with a plastic cup or similar item under the pot to catch the extra water that come out of the bottom. When the cup is full you can reuse the water for about 2 days. I would highly recommend if using this method to change the water every 2 days, because they water may get moldy or contaminated with some types of fungus including the oh so dreaded green mold. I know this may sound dumb to most people but plants do love music and sounds. When plants are outdoors they hear birds singing and wind howling. I think this may play a roll in the growth of plants. I read online a lot of people are doing test with leaving there radio’s on in one room with plants and another room with silence. The plants with music tend to grow faster and look healthier. Now they are testing types of music. Classical and Metal seem to do well for some reason. If i was to leave a radio on for my plants, I would go with classical. Just because a lot of metal is angry and filled with hatred. Show Sally Love with nice clean music that promotes happy thoughts and feelings. You start with one big health mother plants. You can use a sharp knife or raver blade your choice. You need to make sure the blade is very clean. You can use rubbing alcohol or really hot water to sterilize the knife. When you make your cut you want to do it at about a 45 degree angle. that seems to give more surface area promoting new roots. You can then take the cutting and place it into a small glass with about a inch of water at the bottom. You need to change the water ever 1-2 days. The reason for this is old water will rot Sally’s Stem. You can also use a fish tank Bubbler which helps 100% in promoting root growth. This method is really easy as well. Get a nice new pot with fresh moist soil. After you take your cutting rince the leaves and stem with running water. Then take a pen and make a hole in the soil, place sally in the hole. Very lightly push the soil together so that sally is in there good. There is one more thing to promote roots and new growth. Take your raver or knife and cut the first or second leaf tip off your sally.You only want to take about half off. That way Sally will try to grow new leaves, And she cant do that till there is a strong root system. Don’t get my wrong sally can grow leaves even if she doesn’t have roots but they are not gonna grow fast till the roots are set. You start with one mother plant. Take as many cuttings as you can. Once they have good roots plant them in a big pot. You never want them to get root bound, This will stunt the growth rate. About every week repot them, then feed them. After about 3-4 months you should have 10-20 new mother plants. That is if you gave them lots of light and food. Now you should be on your way to taking tons of cuttings. However you could use this method again and take 50 or so more cuttings for mother plants only not for sale or give away. With this method you should be able to make hundreds of plants. I hope you enjoyed this post. Please leave comments or feedback.